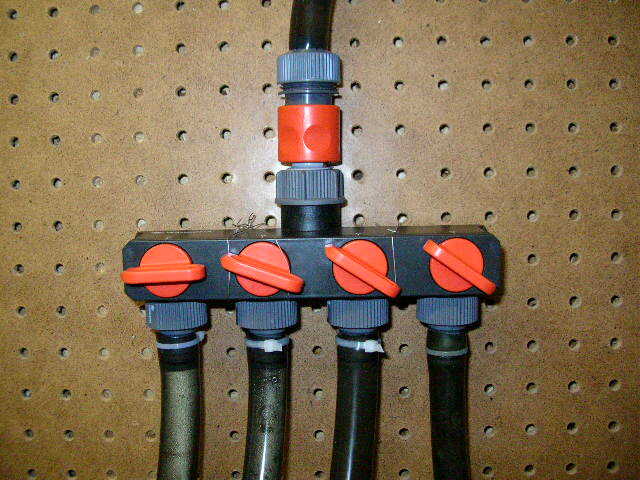 bought this Gardena watering manifold to supply some of my "add-ons" (phosban/chemi pure reactors and protein skimmer). I got so tired of using powerheads that took space in my sump. Tapped into the return line to the tank and added the manifold. This manifold worked great because it allows micro adjustmnents easily. Gravy. Where did you get it? How much? What do you have it hooked to? Any cavitation issues?